John D. MacDonald’s 1960 paperback, “The End of Night” is often cited as one of his finest stand-alone novels. This is a bold claim as MacDonald produced so many excellent stories outside his acclaimed Travis McGee series. While picking a best JDM book is likely a fool’s errand, there is no doubt that the short novel is a crime fiction classic. The story opens with a prison official marveling that his institution just sent four inmates - one being a female - to their deaths in the electric chair. But that’s really where this story ends as the majority of the novel is one long flashback explaining how and why this foursome were eventually put to death for their crimes. 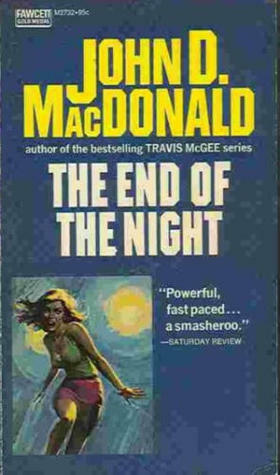 This is a fairly bold literary choice for MacDonald that effectively steals the “will they get away with it?” thunder from the crime fiction plot. Never fear, the story leading to the death house has plenty of twists and turns along the way. “The End of Night” is essentially the inside story of four post-adolescents dubbed “The Wolf Pack” by the media who set out on a cross-country crime spree culminating in a murder. By 1960, MacDonald was a good enough writer that he told the story of The Wolf Pack through a show-offy narrative trick. The narration is told through letters, memos, and memories of various side characters bearing witness to the juveniles’ spree and its aftermath. The death-row executioner, the defense attorney, the sheriff and others tell their portions of the story in a way that gives the readers the pieces of the crime story puzzle. While we all know by page 10 that the killer foursome (Kirby Stassen, Nanette Koslov, Robert Hernandez, Sander Golden) are caught, there's a heartfelt need to determine if the hopeful young Helen Wister survives the brutish quartet. For 1960, this is a gritty, powerful crime novel that prefaces a turbulent time in American culture. Shockingly, the culprits, while not affluent in any sort of transcendent religious rite, exhibit psychotic tendencies that re-appear just nine years later with the Manson Family murders. It's not a far-cry to see how the novel may have inspired horror writers like Stephen King, Jack Ketchum and Richard Laymon. King went as far as to declare the book one of the finest novels of the 20th Century. It's a well-deserved praise. 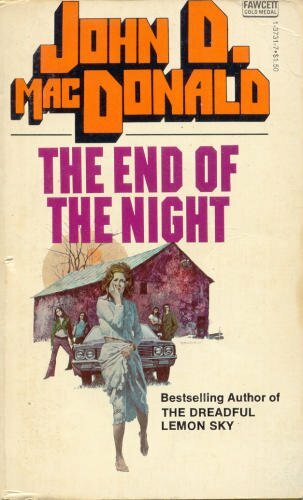 “The End of the Night”, while disturbingly fitting the mold of “entertainment”, is an obligatory read for anyone claiming to love the American Crime Novel.